As well as this website I also post a lot of my work on my Facebook page. I can also be found on Twitter. Videos are also available to view and share on YouTube. Click on the icon above for my new YT channel. If you wish to connect through Linkedin, then this is the link to my professional network. The best Media Player that supports all types of file formats. Click the link to download for free. About MJA - My name is Mark, I'm a freelance aviation photographer based in Aberystwyth, Mid Wales. I created MJaviation back in 2007 as a place to showcase my work, most notably my low level photography, shot from the UK's LFA's (Low Flying Areas). I have over 25 years of experience in photography, starting out in 1990 when I got my first job as a professional photographer, working in the Geography department of Aberystwyth University. It was all film and dark rooms back then, nothing quite like the digital world we live in today. I have done commissioned work for the Air force, Airlines, plus private companies, if I can be of any help or service then please feel free to get in touch by either email or by phone, I can also be found on both Twitter and Facebook. I'm a devoted Nikon user and use a wide range of professional photographic and video equipment as well as leading edge processing software. All of my work is saved and displayed at a high quality and prints and high resolution digital files are available on request. Copyright Notice - All images and videos are "All Rights Reserved". They must not be reproduced in any way, unauthorized use is strictly prohibited. If you wish to purchase or use any images, for any reason or purpose, then please get in touch. To download HD Videos & Playback - All videos are saved at a high quality and most exceed 100Mb in size. For best performance please right click on the links/thumbnails and 'save link as'. This will save the file to your computer and will increase playback performance. VLC Media Player is probably the best performing Media Player available and will play all formats. You can download it for free here. Full HD videos are now available to view and share on the new YouTube channel. Fox2 first went live in February 2010. It was created by a group of aviation enthusiasts for the aviation enthusiast as a place to share photos and talk aviation. Thanks to everybody for their support and encouragement and a special thanks to all the Fox2 team who have put in many hours of hard work over the last couple of years. To enter the forum simply click on the Fox2 logo on the right. We cover all areas of aviation including helicopters, gliders, airliners, military jets and more but we also have many non aviation topics such as hobbies and other interests. Please be aware that some sections are viewable to members only and are restricted by post counts. Feel free to sign up. 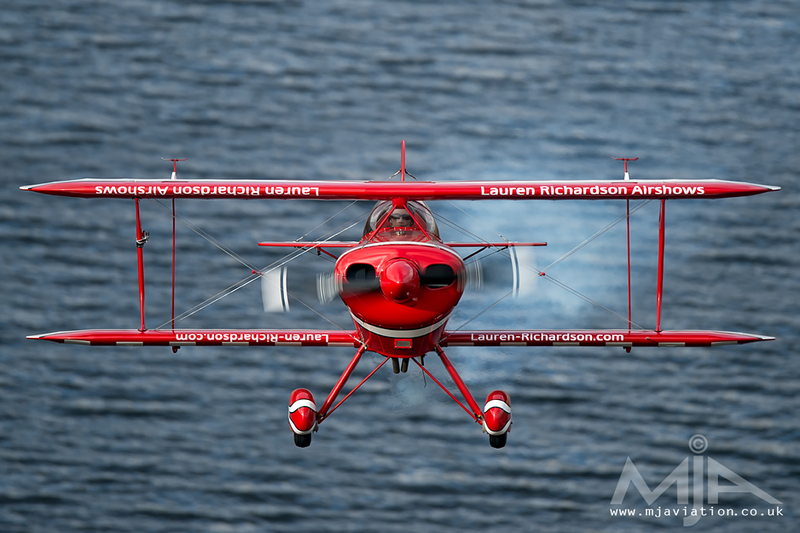 Latest News - Pitts Special Photographing Biplanes seems to becoming a habit lately. Last year saw us head up towards the Elan Valley, in Mid Wales to shoot a Christen Eagle, this year we were at the same location but photographing a Pitts Special, flown by display pilot, Lauren Richardson. On February 17th we headed over to Craig Goch reservoir, a fantastic location looking over one of the four Dams that are situated in the Elan Valley. It was another early start, a heavy frost the night before meant that the day started extremely cold, but with blue skies and unlimited visibility, it was perfect for photography. Lauren turned up at just gone 10am, the superb whine from the engine echoed through the valley, she put her aircraft through its paces, and due to our high position on the hillside, lots of shots with a full water backdrop could be captured. Latest News - AH-64 Apache January 22nd and this time it was a trip up to North Wales to photograph Army Air Corps, AH-64 Apache Helicopters. We'd originally planned to do the shoot, which would also include AAC Lynx Helicopters, up at Ffynnon Llugwy, a small lake situated in the Snowdonia mountain range. Unfortunately low cloud first thing in the morning never looked as though it would lift so we decided to head down to a location just above Llun Ogwen, which runs along the A5 road (also referred to as the A5 Pass). By the time we arrived there were a pair of Apaches working the area. They based themselves at RAF Valley for a week and luckily used the A5 Pass on most days. We had two pairs do a couple of sorties during the day, which meant we had plenty of time to swap over to the opposite side of the valley so that the sun would be behind us in the afternoon. The Lynx, which were based at Caernarfon airfield, also made an appearance, so it was a Helo filled day with not a single jet in sight. Photos will be added to the Low Level section very soon. New Nikon D800E The launch of the much-anticipated Nikon D800 Digital SLR includes the special edition D800E, designed for photographers who require the sharpest images possible, which is achieved by removing anti-aliasing properties from the optical filter. Apart from the modified filter, the D800E boasts the same astonishing specifications as the D800 - 36.3 megapixels in a full-frame (FX) format, and many of the crowd-pleasing features of the recently launched flagship D4 digital SLR camera. 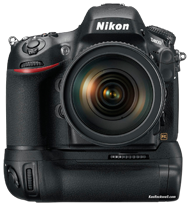 Like the D800, the Nikon D800E also features the same newly developed CMOS sensor with an area of 35.9 x 24mm, a standard ISO range of 100-6400 (expandable to a range of 50-25600), the Nikon 51-point advanced AF system, as well as the exciting addition of full 1080p HD movie recording, including many of the revolutionary new video features found in the D4. On the 16th of May, I spent the day at Derwent reservoir to photograph the Battle of Britain Memorial Flight Lancaster Bomber perform a low level run over the dam to mark the 70th anniversary of the famous 'bouncing bomb' raids that took place in Germany back in 1943. Two 617 squadron Tornado GR4's and a BBMF Spitfire also flew low level over the reservoir. I tried to shoot some video in-between photographing stills, so only caught a small piece of the action. The 4th of May was spent up at Manchester Airport. Its getting to be the time of year where the dreaded heat haze makes photography near enough impossible. I arrived nice and early so managed to bag a few shots before the heat haze became an issue. I've wanted to create a time-lapse video for some time, so what better day to have a go. The video was shot using my Panasonic TM900 HD camcorder and processed using Adobe Premiere Pro. All stills were shot using a Nikon D800E and 600mm f4 VR lens. On the 10th of April I spent the day at Bala in North Wales to photograph and film a Major Flooding Exercise. This included a Sea King Helicopter from RAF Valley along with representatives from all three fire and rescue services in Wales. They were joined by teams from Natural Resources Wales, Gwynedd Council, Welsh Ambulance Services NHS Trust, the RSPCA, Coastguard Agency and North Wales Mountain Rescue Association. Latest News - USAF HH-60 Pave Hawks In May last year three USAF Sikorsky HH-60 Pave Hawk Helicopters from RAF Lakenheath based themselves at RAF Valley for a week to perform insertion and recovery training in the Snowdonia mountain range. On the 24th of May we decided to make the long walk and climb up towards the Ogwen valley to photograph them before catching them again on their way home on the 25th near the Mach Loop. Photos have now been added to the Low Level Gallery section. HD Video can be found here (150Mb). Click the link for a list of HD videos from the Mach loop and other locations.